Konica Minolta and Ricoh were recently recognized by Buyer’s Lab for their outstanding production print devices. NBM has once again been recognized by Sharp Electronics as a 2016 Hyakuman Kai Elite Dealer. This award is a distinction given to outstanding Sharp dealers as a measure of sales performance, innovative business practices, and excellent customer service. Konica Minolta has been awarded a global leadership position on the Climate A List by CDP, an international non-profit organization enaged in activities to realize a sustainable economy. This is the fourth time Konica Minolta has received this accolade. Northern Business Machines was named an Elite Dealer for 2018 by ENX Magazine. Dealers were awarded based on growth, innovative marketing and sales programs, community leadership, and leadership within the industry. The Sharp program was designed to distinguish service organizations that not only meet, but also exceed performance benchmarks and the implementation of industry best practices in this area. Buyer’s Lab, an independent business product testing lab, listed the Sharp MX-3050,3070, 3570, and B455W models among their highly recommended and reliability certified products for 2018. 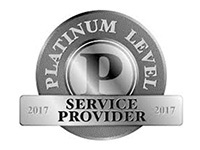 For the 12th consecutive year, Konica Minolta Business Solutions USA has been recognized for meeting and exceeding their customers expectations. Konica Minolta was also awarded for best brand engagement. Sharp Electronics has earned the US Environmental Protection Agency's highly coveted 2013 ENERGY STAR Partner of the Year award. 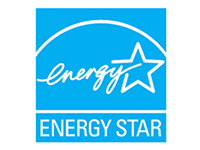 Sharp's exemplary commitment and dedication to energy efficiency and the ENERGY STAR program was demonstrated through its more than 154 ENERGY STAR qualified models across seven product lines in 2012. Many companies claim to be the best in the business. Here at NBM, we make sure that we are the best. 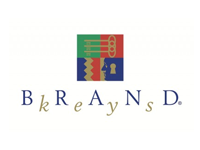 We measure customer satisfaction using the nationally recognized Net Promoter Score system. The Net Promoter Score system asks the important question, “How likely are you to recommend us to a friend?” The average US company has an NPS of 10. NBM is proud to have a current score of 93.5!